Apple`s creations always tend to be on top. Whether mobiles, displays or a Tablet, if Apple`s logo is imprinted on the device, it is implicit that the device will be offering exciting innovation, superior performance, and long-lasting durability. Nonetheless, all these devices come to be the best in the market only due to the supplementing accessories that Apple retails particularly for each of its device. Buy Apple MacBook Accessories in Pakistan from Paklap.pk at reasonable prices. 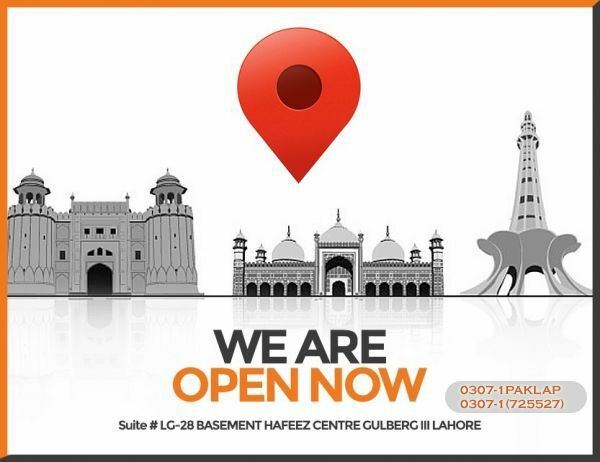 For all the MacBook users in town, www.paklap.pk has just the things in store for you. This latest section of the site allows you to purchase genuine and first-rate accessories for your MacBook, so that you could too harness the ultimate potential that your MacBook truly holds. Our collection consists of every accessory that one may require to perform a specific task or may require to improve the convenience or reliability of their MacBook. The users who are dedicated to listening to music in the best form possible, we offer audio and music accessories. To further increase the durability, our collection of Apple Accessories consists of cases and covers. For the convenience of the users, we also offer supports and mounts so that the MacBook gets positioned where the user desires. For the ease of the users, our store also consists of mouse and keyboards made specifically for MacBook. For the user`s connectivity and power needs, our arsenal consists of adaptors and power cables. If the users feel short on the storage capacity of their MacBook, they can purchase our external storage devices to increase the storage size. Different Macbook Adaptors are also available in the market for the user to choose the best one suited to them. Apple USB-C to USB Adapter allows the user to plug any standard USB cable into it and contains male USB-C and a female USB-A. Apple USB-C Charge Cable allows the user to transfer data and also to recharge the MacBook; the Mac also has a replacement cable for this. Apple USB-C Power Adapter is 29-2 watt power adapter and can provide power to MacBook and also to an Apple iPad or Apple iPhone with the cables. Apple USB-C Digital AV Multiport Adapter is a power adapter which allows the MacBook’s USB-C port to work as a pass-through for power and an HDMI video out and USB-A 3.1 data transfer cable. Apple USB-C VGA Multiport Adapter allows the users, who have older monitors, to split the Mac’s USB-C port into a USB-C passage for power, also a VGA video out and also USB-A 3.1 data transfer cable. Belkin USB-A to USB-C Cable is a male adapter on both edges and connects USB-A devices to USB-C devices. Belkin USB-C to Micro USB-B Charge Cable allows the user to charge and sync standard micro USB devices through the USB-C port. The charging cable can charge the user’s phone by using MacBook’s battery. IVSO USB-C Docking Station allows 7 USB-A ports, a USB-B for printers, HDMI, DVI, and Ethernet, and all of these are connecting through USB-C port. It allows the user’s MacBook into a desktop PC. Jelly Comb USB-C to USB-A Adapter is a compact and small looking adapter which is comparatively less expensive. Apple MagSafe 45 W Power Adapter for MacBook Air has a magnetic DC connector which is capable of getting disconnected on its own if it is experiencing any strain. The Power Adapter Extension Cable is an AC extension cord that provides extra length for the MacBook Apple power adapter. The user can use it with MagSafe and MagSafe 2 power adapters and 10W, 12W, and 29W USB power adapters. The Apple HDMI to DVI Adapter allows the user to connect the MacBook to a DVI display or project through the HDMI, which is inbuilt. One can purchase all these Apple MacBook Accessories and many more, only at www.paklap.pk.